The Bendrigg Trust in Kendal is one of the few specialist outdoor centres in the UK working specifically with disabled and disadvantaged people. 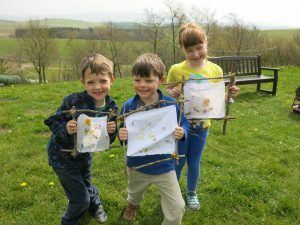 It received £1,628 from the Westmorland Arts Trust to run its Arty Pants project and give disabled youngsters the chance to experience the arts, find hidden talents and develop creative skills. Arty Pants works directly with disabled children, their families and friends. Disabilities can range from learning and behavioural difficulties to physical or sensory disabilities. The sessions allow families to join in activities as an inclusive group. They have time to socialise, get creative and enjoy themselves in a supportive, safe environment. 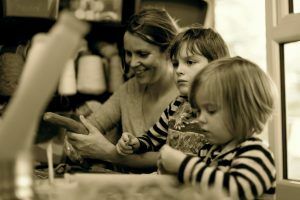 The project works with local artist, Emily Jackson, Founder and Director of Ragtag Arts in Kendal. 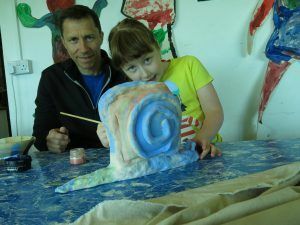 Monthly activities include making puppets and a puppet theatre, creating and decorating giant ceramic snails, learning how to use a potter’s wheel, Christmas decorations, printed cards and lantern making. Emma, one of the parents, said: “I have been attending with my five-year-old daughter for over a year now. She really enjoys being social but due to autism, has very limited language, which can cause barriers in groups with similar aged children. Arty Pants is a lovely sized group and it’s not overwhelming at all. When my daughter doesn’t want to try a certain activity and is very reluctant, Emily, the artist, is quick to suggest something else she could try with great enthusiasm.